Although only two days ago we faced the hottest October on record, a sweltering 27 degrees, today has been more like the October days that I know and love. A little cooler, a little light rain and the nights drawing in has made me want to cook some warming Autumn treats! The first meal I was inspired to make was a classic dish of sausage and mash. It's not anything particularly difficult but I love the buttery mash and the scrumptious lapping of onion gravy... it's making my mouth water all over again! What I am more impressed with is my attempt to make apple and cinnamon oat cookies. They are golden as the falling leaves outside, they are rustic looking yet moist inside, and what I love most is the amazing smell! I must admit my first batch didn't come out too well, in fact they were burnt to a cinder as I got distracted by the final of The Great British Bake Off, but my second batch are perfect. I can't wait to take a few into work and see what everyone thinks! My boyfriend just kindly pointed out that I can't really write this blog until I've actually tasted one, ( I was letting them cool), so I am pleased to say, no, ecstatic to say that they are amazing and I'm so proud! Being an oaty cookie I didn't think he would like them much but he was thoroughly impressed... I think these may become a regular on my days off! If you want to make this recipe for yourself, I found it in Step-By-Step Baking by D.K. on page 190. 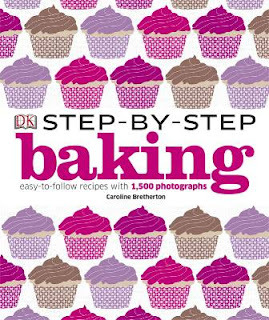 It's a heavy whopper of a cook book, but I got attracted to the shiny pink cupcake cover, and I am very glad I did. Would I make them again...... YES!